Artist@play Makeup Academy : Course: Industry Ready MUA beginning in May. Dance World’s In Florida’s Disneyworld in April : Performing in both Contemporary and Poms against the world’s best. Happy Feet Fitness : Educating children to be Healthy and Fit in a fun atmosphere. Did a short acting course through Bettina Management when I was about 8. I have modelled for Cheerwest and Everything Cheer Australia. Photoshoots shot by Don Benson and Farout Photography. Currently modeling for wolf Elysian’s clothing range. Winner of Miss Fashion Week Teen Petite, Miss Photographic and Miss Media. Instagram brand ambassador! 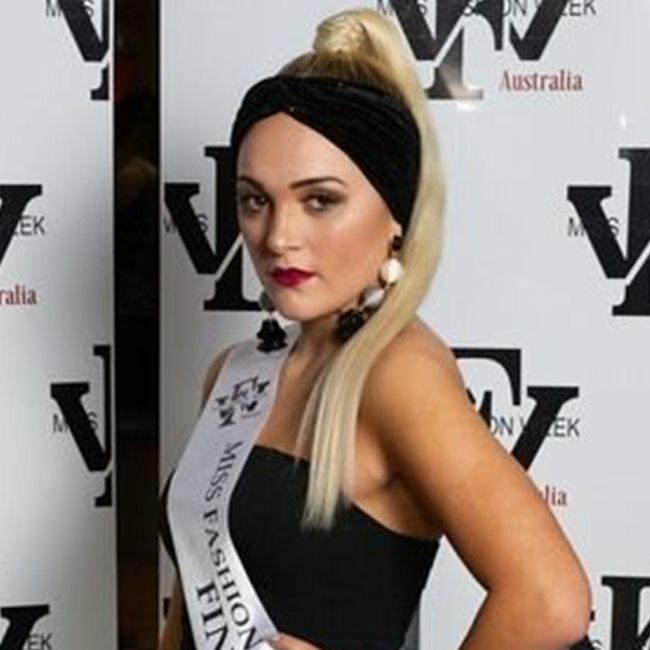 Winner of Miss Media with my following of Kiara Taylor Miss Fashion Week Finalist on both Facebook and Instagram. I’m on several Media platforms with Cheer and Dance Xpress through their large Corporate Clientele. A brand ambassador for clothing companies on Instagram. I would love the opportunity to do a commercial or be on a television series like Ship to Shore or Home and Away. As a cheerleader you practice different facial expressions all the time so I think I would be able to express emotion on camera. Selected for the " Hairspray" the musical arena spectacular as apart of the dance crew. Cheer and Dance Xpress : Entertainment team for Rockingham Flames basketball, Speedway and other corporate organisations. Half time entertainment for the Manly Sea Eagles game in July 2017 and entertainment for the rugby world cup. Baldivis Cheer and Dance specialist program. Accepted into The Australian Performing Arts Network of WA in 2018 for Certificate IV in Dance. In 2019 I will compete at Dance World’s in Florida in contemporary and poms.